TMetric provides time tracking, work session monitoring, reporting tools, integrations and much more features, which help organizations and individuals to effectively manage work time and increase their productivity. TMetric is easy to install and use. Minimal effort in every day work and will you believe that it's free! Great value for the price. Work well on Mac and I hope on Windows. Light and fast software. Not used much memory of computer. No annoying popups trying to convince you to upgrade the plan. Greatly improves my productivity, helping to concentrate on specific projects and tasks. Allows to make better time estimations. Allows to track task, projects and clients. Useful reporting capabilities. Tracking of billing hours. What else can I say? Just download and try TMetric and see for yourself! Give it a try, it one of the best time tracking software on market! Tracking work hours per project. It helped a lot to see if project estimation was precise. Easy to use, simple to add projects and document time spent. The interface is a little plain and you cannot add a project directly from the extension, you have to follow an external link and do so via the website. Other than that this application and it's supplementary programmes provides our agency with the necessary tools to manage both projects and time. Check it out - the free program and extension provides more than enough to fulfill any evaluation needs you may have. Time and project management solutions, we use it to monitor time spent on various activities. The ability to segregate activities into various projects allows us to effectively evaluate where our time is being spent. The reporting and monitoring tools effectively allow us to easily see how where we are effectively, or not so effectively spending our time. Our agency implements the software company-wide which means our administrative agents can see at a glance, or in detail what our employees are spending their time working on. We have been able to use the reporting tools to enhance our existing governance and compliance policies. This allows us to see where we are effectively spending our budgets (both time and money), and also where we are overspending. We also use this tool, as a supplement to other project management tools which allows us to see how our projects are tracking time and budget wise, on a more gestalt level. It provides one with list of open apps and web pages, to easily identify the actual work that has been done. Reports are extensive and can already prepare a good basis for invoicing the clients. There is also an Android version of the app available, that covers all of the basic functionality and make for even better use of TMetric. We didn't find anything, that we would disprove. Sometimes a web service is unavailable for a very short time though, but since the timer is running after Your login, and since You are able to enter the corrections post-festum, it doesn't represent some serious problem. Maybe somewhen in the future, an effort could be made to make some sort of an easy task/project selection/new entry upon start/stop operation, to make things even easier. If your job is mainly done at the computer, TMetric will accurately and reliably take care of timekeeping. There will be no doubts over "what was I doing then" anymore. The reports are extensive and configurable, as well as data can be exported and used in another program if necessary. There is also an API, but I haven't use it yet, since the basic TMetric interface covers all of our needs. It's use is simple and straightforward, and since there are also mobile apps of TMetric available, one can use it practically anywhere. Time tracking. We are now able to make detailed reports to clients with really little effort and almost no time spent. Just try if it meets your need. When i started to use it i realized that keeping track of my work hours can be so much easier than before. You should really try it. I was sceptical at the begening that it will be hard to track hour and i will forget to change my current task, but after a trial period i decided to stay with it. "Great Integrations for G Suite Products"
I am a fan of G Suite and Google Keep but since Google hadn't opened up the API for Keep there has not been a lot of integrations. I searched through Zapier and a number of other time tracking apps to see how we could use Google Keep for our task management but it kept proving to be more difficult. I just happened to stumble across TMetric. We signed up for the free account and learned how the platform works. They are still new but the software is very impressive and the integration with everything Google is AWESOME! I also like that we can set up a client login for more demanding clients that want to track the hours spent in real time. The only negative I have right now is NOT really a negative. However, since the G Suite integration is new, they have it set up to easily connect to projects and tabs but not "accounts". TMetric has a feature that allows you to create multiple accounts for you as a user. I was originally going to do this so I had an account for each of my companies but when I tried to test the time tracking from within G Suite, it didn't let me switch accounts. Since I noticed it early, I just decided not to use "Accounts" and created a "Project" for each company. I believe this will work just fine and therefore is NOT something keeping us from using TMetric. It is just something to be aware of before you start setting up a number of accounts. The only other "dislike" could just be because they are still new and is TRUMPED by the fact they have Google Keep integration. We do a lot with Zapier and there is not at this time an integration for Zapier but as I said before, the Google Keep integration is more valuable. The pricing is very competitive which is important when looking at a time tracking application. There are a number of time tracking applications out there and some go WAY above what the normal user wants or even needs. TMetric is perfect for anyone who is looking for a simple way to track time between projects and is an active G Suite user. Their mobile app and desktop app also work well. I would say that the most important thing is to take a few minutes to determine HOW you are going to set up your projects and tags. Once I played around with the system for a few minutes, I was able to go in and determine how to name our projects and then how to create tags. I'll give an example. I created a project with our company name to use for "business development" purposes and tasks associated with growing our company. I then created tags that are universal across all projects. These include: Article/Blog, Social Media, Website Development, On-line Support, Email Marketing, etc. I hope this helps provide you with an idea on how to set up Projects and Tags. As my company grows and we have started to get more clients that are "billable" instead of just retained, we needed a solution that allowed us to simplify our task and project management tracking. We were trying to move to using more of G Suite as we have Chromebooks for many of our support staff. This leads to wanting to use Google Keep for task and project management. TMetric has an integration that works in the web version of G Suite and that includes Google Keep. I have not found other time trackers that integrate easily with Google Keep so this was a HUGE plus. Their simple to use platform and clean design makes it easy to operate which is also a plus. "Great, simple web application; easy to use and easy to report and download data"
Easily transition from one task to another by clicking the play and stop buttons. Restart a prior task simply by picking prior time for that task and clicking Play. Tmetric automatically remembers your task names and suggests them for you. Summary and detail reports are also very intuitive with ability to filter data across dates, projects, clients, and key words. No major issues. I do not use the desktop application; I only use the web app. As a freelancer, TMetric gives me an easy way to accurately track all my time in a detailed manner, and provide me the reports that I need for invoicing my clients. I love it! I can set up a list of tags (and clients) then as I work each day (and minute)I just click a button for the Chrome Extension and chose Client and tag to track not only for billing but for which aspect. I have not encountered anything I dislike at this time. This tool has various levels including one free option and the other 2 are extremely affordable. Very easy to use. I am detailing my clients time card so they are aware in detail how much time I spend on different aspects of their business as I have several responsibilities. I see where this could be great tool for any employers as well. "The complement for your Task Manager"
Tmetric was the missing piece in our team. And it is so easy to getting used to, that we can't imagine working without it anymore. This is hard, I don't think I have anything to dislike right now. Maybe a "autopause" feature, or a alert when you go on a task further then your work time. But it's not essential to the tool. If you're looking to keep track of time spend on tasks, have full reports on those tasks, and what your teams is working on, this is the software for you. It has other features in the professional mode, that I didn't tested but overeall, is a great simple way to keep time traking on tasks, and is just perfect for me right now. I wanted to keep track on how long it took to complete certain tasks in order to improve our work flow and where can we improve. I believe we accomplish that, and now we can prioritize tasks by time and efford. "It's very easy and works perfect." - Works without capturing any screenshot. - Also indicates about forgot to stop timers and inactivity. - Provides clear idea about activity with great UI. - Easy to track records of each task and assigned to members. - Easy to switch between tasks via desktop application. - Easy to getting used to with it. This is not dislikes but it can be something like to have. - When I am creating any board and start timer for it, it will create project in Tmetric but when one of my team member is creating board then its not creating any project. I think this feature should be added. - It would be great to have desktop application which will also support to create tasks directly from it. - Support for Mac system would great for desktop application. Yes, I will definitely recommend TMetric to other team members who is small and looking for free solution that completes almost every record you require to check your team activity. Its easy to use, easy to setup and integrates with almost all major daily useful applications. I have been using it more than 2 months and it definitely helps me to get the result I needed. I am able to analyze my team members activity very well. It helps me a lot to monitoring and their performance about each task I assigned to them. "Simple tracking that keeps you focused"
You can't set multiple projects with the same name for different clients and then group by that project name so as to group time spent on similar projects. Accountability for my time is the biggest benefit. Combining this tool with ToDoist and BugZilla via the Chrome extension makes it easy to do so. I'll be recommending my team adopt the tool of I can finish the month ahead. I like the service due to excellent integration within my google notes. I appreciate it, that the function to correct times is reminding me to do so. I am a little bit unhappy, that I can not log my work on a note, that is not saved yet. First I need to save (and close ) my fresh note. Then after opening the note I am able to start tmetric and enter my project activity. if you are often on different locations and use the web alot, I recommend tmetric to you. Log my work of tasks I dislike and forget. I can track my activities an so I learn my business numbers. IT, Company Work Flow software, Analytics, Cash Flow. Time tracking and billing is nice, invoicing would be ven better. Many ways to start/stop a timer, many ways to generate a report and a bunch of time spending features. The report of tasks could be prettier. But anyway, it's useful. If you're willing to use any time metrics and time spending solution, specially if you need integration with Asana, TMetric is one of the best options (THE best option for me). Give it a try. I'm counting how much time I spent with every project I work. "Easy to use time tracking"
Very simple interface, great control over time intervals. Projects, tags, clients provide enough depth to be organized while the whole concept stays clear. Reminders for tasks that were left to run overnight is a really great feature. Autocomplete makes task creation really easy, and it not just completes the title, but the project and tags too. The autocomplete feature is really nice but learns wrong terms too, and the list of learned expressions can not be managed. A bigger selection of icons would be nice, an icon-font maybe, or a way to upload custom icons. I would really like to color tasks/projects which would be represented on the timeline, the background color of the project icon could be a great start, along with color variations or custom colors for the same icon. I would probably use the desktop client, but there's only a Windows version, and I use a Mac. I would love to have this on my mobile. A native app would be the best, but there is no mobile friendly design at all, which is the biggest problem I found. I recommend you taking full advantage of tags, projects and clients to organize the tasks, this way you can generate really useful reports. I wanted to keep track of my day, and based on the results manage my time more carefully. While I make myself track the various tasks during the day I caught myself beeing more focused. "includes Firefox, Android & Desktop apps!" "Goldilocks of Time Tracking: Just Right"
I love the ease with which I can use the actual functionality without taking the time and scheduling to watch a series of tutorials. It is the best billing platform out there and I have used many. Mainly I switch because there is usually a learning curve, and I do not have the patience to learn all the ins and outs. I am sure if I dedicated myself to it I would love them too, but that defeats the purpose of tracking time and limits the ROI that those can provide. I downloaded TMetric and began using it with no tutorial! The User Interface (UI) is intuitive and the flow is near streamlined. I only have two-ish suggestions. I love apps and their ability to automate the housekeeping tasks so I can focus on my current project. 1. Color coding, I am a visual learner and color code everything. This is what helps me focus. It would be outstanding if each client or each project had a color on the master timeline. 2. A notes field that pops up so you can quickly make documented notations to relay to the client. 3. I may have missed this so I said two-ish: I saw you had a windows desktop version; I am all about Mac/ios, so if you had a Mac version that would be outstanding. Yes! I fully recommend TMetric for others. I am only a small start up with a very small team within in education and writing. However, for other fields that need a billing platform, TMetric is perfect. I am mainly trying to track my time in a more cohesive way than with other apps. I need something fast on the fly or I will forget. If I forget I lose the revenue for that. Therefore I am attempting to be more efficient in my time and realize its true value. TMetric is exactly what I needed to gather time management statistics. The interface is a breath of fresh air. I was able to hit the ground running from the start due to the easy to navigate UX. I can't believe that this tool is free. I will be recommending that my colleagues with larger user bases try TMetric as a replacement for their unruly time management solutions. Nothing, as of right now. I have yet to use the mobile or desktop app. I will update my review with recommendations on those interfaces. If you're looking a simple way to get deep metric reports of yours and your employees time spent then this is the product for you. I have some clients that require a very strict accounting of billable hours. I also have some that allow for less stringent accounting. TMetric gives me the flexibility to categorize these projects and be as granular in my reporting as the client requires. It is easy to use and can record bitbucket pull request reviewing time, which is really handy. I like the report filtering and tagging functionality which is quite good for categories and multi projects. It doesn't have app for mac, but I am sure it will have the app for mac in the future. I realise the project summary doesn't synchronise the daily report immediately. For example, today I have 9 hours, but in Project summary daily report, it shows 5 hours. It will be better if this can be fixed. 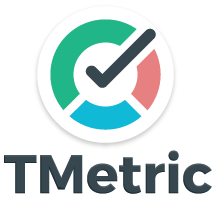 TMetric is really easy to use and specially is a good app for the JIRA and bitbucket users, when you want to know more about your time spending in more than one projects. I can use TMetric to record JIRA ticket spending time more accurate, and it is really handy that the recording ticket has the issue link. The report has the tagging and the filtering functionality, so I can easily to categorise the recordings. Its stop on its own sometimes and I dont like when it changes with every page I go to. The browser tool sgould still require one to say what they are working on and press start and stop. maybe Id just like it to start and then keep track of all the links I visit and let me hit stop at the end. I need to keep track of the hours I work and the time everyone else on my team is spending working on #TNM Inc. projects. "Simple web-based application for IT-professionals and companies with a sophisticated user interface"
1) It is absolutely free, with no restrictions. 2) Supports integration with most popular project management systems. 3) Work day is visualized as a timeline. It's very simple to edit you work time using only a mouse. 4) You can render any management structure: collective, hierarchical, or matrix type. 5) The reports are simple but flexible. You can view project time, team's time, or individual's time and use filters to configure the report. 6) You can switch to team view and see what the colleagues are working on at the moment. It increases my productivity during the day even if I am working remotely. While doing that I can send my time reports in CSV and PDF to the client. Many of my clients want to know what I am doing during the working day. This brings ability to determine how many hours should be paid by clients and increasing customer trust as result. "Best Time Tracking application ever"
Its no nonsense solution, you dont have to spend a second extra to track time. It does not add up any overhead or distractions associated with other time tracking tools. I would like to see project names first, and then the task names, which helps locate the task in an organized fashion. This is helping me understand how I am utilizing my time and based on the report I can align my work to spend time in the most productive way. "Simple, sleek, and effective time tracker"
"A great tool for time management"
Do reports more clearly (may be it realized in tha paid/Pro version, don't know). Not much. Switching between tasks and amending times can be a bit awkward. "Easy to Use and Great Way to Track Project Time"
I love the integration of starting and stopping the time as I am working so that I don't have to remember to enter my project time at the end of the day/week. I don't dislike anything yet. I have found all of the features easy to use. The reporting is a great way to show the value that I am adding to my team and to demonstrate the time that things other than project work are using my time. It is the perfect way to demonstrate value of a team to an organization. For me, the best point of TMetric is their simplicity; it's possible to time tracking without get losing in tons of bells and whistles. The TMetric will be perfect if it has a free self-hosted web application. TMetric is helping us in discover unuseful time-consumption tasks. This app help me to control my time. It is amazing. I'm controlling my time to solve bugs reported by users. It is very simple to use as a user and as PM, the reporting is great. We have integrated Metric with trello, which works smoothly. I would wish ani watch app of tmetric, so that I could start/stop with a werable. A super suite with trello. Free for small teams. timetracking of internal resource usage. The integration options and how easy it is to start, stop timer. It could have a better user interface. I looks old. At the very least you should try it. It totally free. It's not as fancy locking as some others, but the quality of this product is very high. Time management. I can clearly see where I spend my time and how can I improve. The best that it's free. 2nd that it's not overloaded with unwanted features, 3rd good working iPhone app, stability, speed. I can't think about what I don't like in the app. I'm tracking time on my tasks. "Time tracking that does not consume time"
It is easy to use. It integrates with project management system (Asana). It is missing a report that would show time spent by a particular team member on projects, grouped by client. There is no possibility to import projects, so I had to add them manualy. I know where my team time goes to without extra effort. I am using the free version for now - I like the simple interface and the capacity to list multiple projects - it suites my small business very well - will get my partners to use it too. So far no complaints - this is the second app I have tried for this purpose and I like this the best so far. Looking to see how much time each aspect of my role absorbs - need to open up additional space for writing and, by knowing how long I spend on various other aspects of my work, I'll know where to look for help. "Basic but effective time management tool"
There could be more visualization, such as comparison line graphs etc. You can enter the most without touching the mouse. Most user friendly time tracking tool I havetried. Good pricing plan. Good integration with Trello and ToDoist. I miss an iPhone app, that's about all. "Nice Team Time Tracking App"
I like that my small team can use the system for free, set up projects, mark items as billable or non-billable. I LOVE that I can use with Trello. I will you could set up a rule to have the system round up to the nearest 15 mins. This is a great platform for managing team time on projects -- especially if you would like to use it in combination with Trello. If you need your time rounded up or down, you'll have to do that yourself in a spreadsheet. But, that's the only downside I've encountered thus far. Maybe in a paid version you can take it to that level? 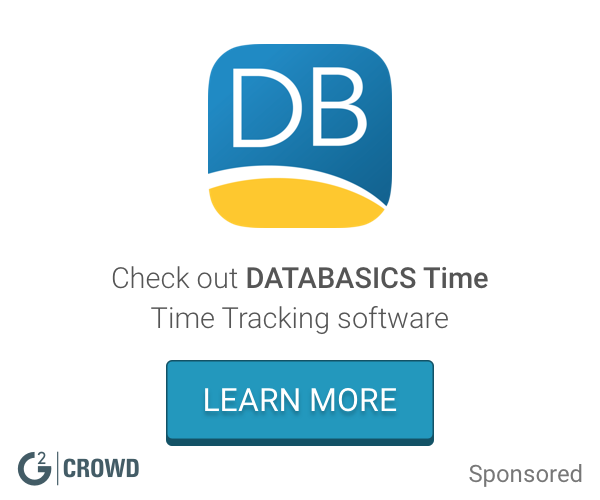 Just need a way to track where time is spent and manage projects that have hourly billing. "It should be in your working tools"
Everything - easy Trello integration, simple and free. I have never regret to start to use this time tracker. Everything is good, from time tracking needs I do not see the problems with this software. "Keep focus on important things and don't waste time on unnecessary things"
TMertic gives me a picture how I spend my time and how I can improve it. iOS app in needed, but release is coming soon. I'm using TMetric to track my daily activities and make analysis of it every week\month to understand how I spent my time and what I can improve to focus on really important things, not on small operational work. "Um ótimo gerenciador de tempo, que integra com tudo que importa"
O botão para disparar o timer presente em todas as ferramentas que utilizo, sem necessitar de configurações adicionais. Só de instalar a extensão do TMetric no navegador, já esta tudo funcionando. Não tem nenhum aplicativo Mobile. E não tem nenhum gráfico nas métricas. TMetric é um otimo software de gestão de tempo, simples de usar e de configurar. Vale muito a pena pela facilidade e por integrar com outros softwares sem dificuldades. Com o TMetric eu consigo saber exatamente quanto tempo estou gastando em minhas atividades, segmentadas por projetos. E consigo fazer isso a partir de qualquer software de gestão que eu estiver trabalhando. Simplicity, all things that I need are easy to find. And has all resources I may need. It's desktop app, interface is way worse and it interrupts you while in fullscreen mode, it should check before asking if I may want to record my work. I recommend using it on your browser, you may lose app tracking feature, but you won't have a headeache with the interface nor the alerts. Organization Issues. Time reports for both clients and administration. Simplicity and efficient features. Help to improve performance to manage my work and my team. I can't remember of anything that ai dislike. Efficient time track integrating with our gitlab self-hosted solution. in particular, with respect to other analogous product like toggle, the timeline interface is better in handling manual time-slot insertion. Keep track of time spent in different project. "Initial User - single user"
"Great features, low overhead, great integrations"
Herramienta de control muy sencilla, intuitiva y amigable de uso, finalmente cumple con su función de forma excepcional. Me gustaría se incorporara el anexar archivos a las tareas que pueden ser un insumo o resultado de las mismas. La comunicación grupal e integración de los recursos en un solo punto. "Fantastic tool, especially for free!" Simple time tracking. Can use from Chrome. Great visualization of data on where time is spent. No ability to export time data into Excel. Understanding where I'm spending my time. "Finally not having to be detective with my last week's time!" Time tracking is so easy. Flexible on how you set it up and record time. Could do with a bit more development to translate to traditional time sheets (still required! ), especially a tabular output. I use tags to detail the type of work (e.g. checking, filing, designing), and the task is the project element or topic (e.g. Building A or B, or Structural or Civil engineering). Keep track of my time, not losing granularity when questioned about time spent weeks ago. Simple, functional and extremely intuitive. Lets you easily understand what is done and how time is spent over a day. At the moment I did not find anything that did not like or that should be improved. We are a company of communication and graphic production. I can control the time I spent in each activity. Nothing I can remember of. And I will say it again: nothing I remember of. I can check better how much time I spend each day. * We monitor all TMetric reviews to prevent fraudulent reviews and keep review quality high. We do not post reviews by company employees or direct competitors. Validated reviews require the user to submit a screenshot of the product containing their user ID, in order to verify a user is an actual user of the product. Hi there! Are you looking to implement a solution like TMetric?